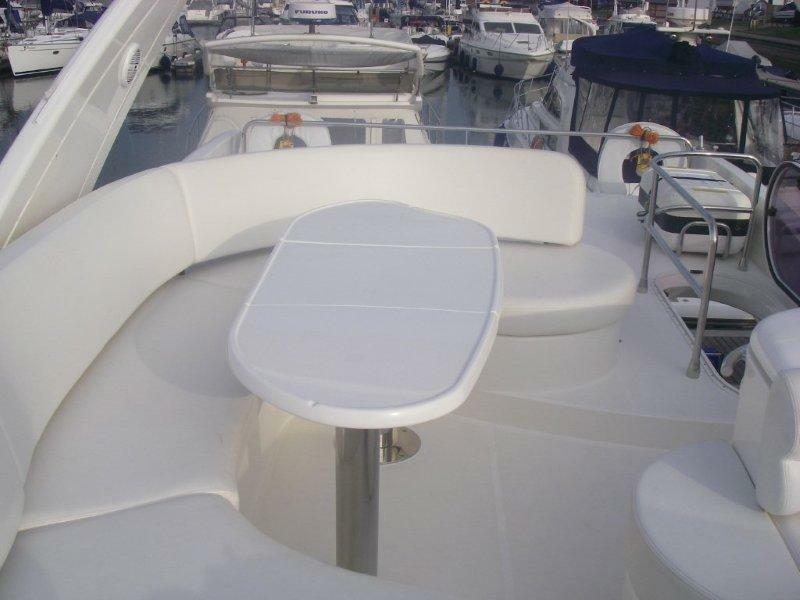 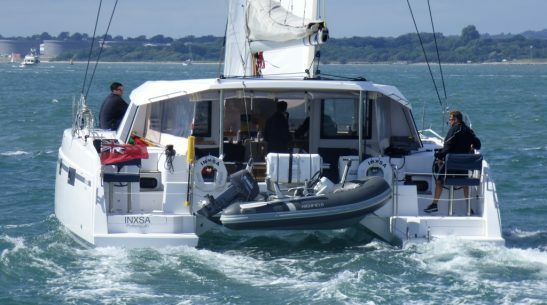 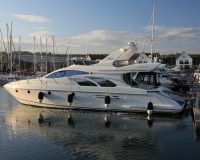 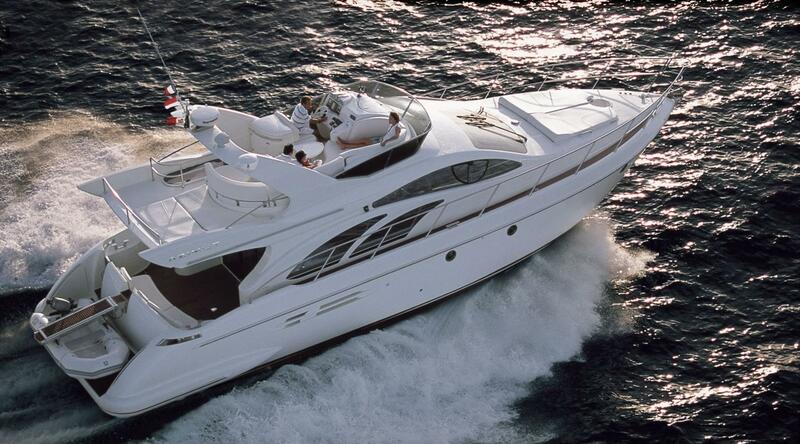 This great boat is incredibly spacious for it’s 50 feet of length, with modern Italian styling and incredible handling under speed, this boat over the years has proved to be a popular choice with Marine Events clients wishing to have a ‘wow’ boat on one of their company powerboat days. 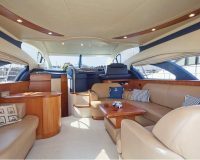 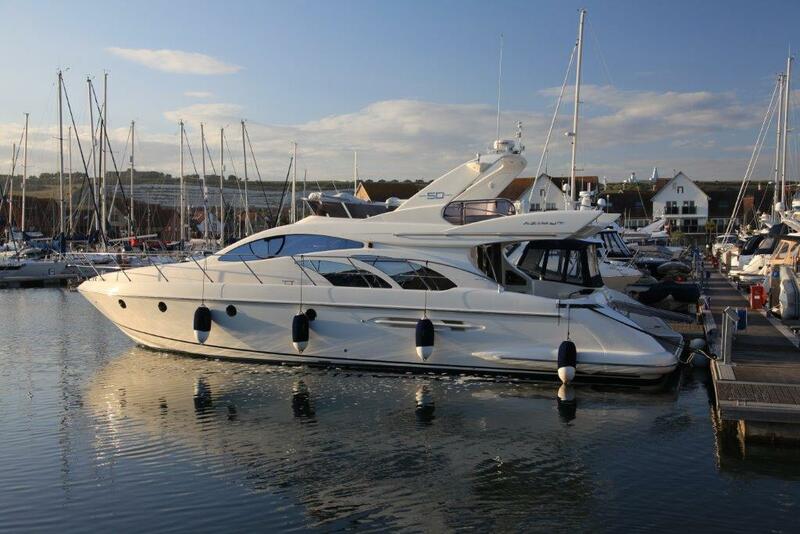 It has 3 entertaining area’s on two levels with a large comfortable fly bridge on the top deck as well as a beautifully crafted open planned saloon on the lower level, ideal for all weather. 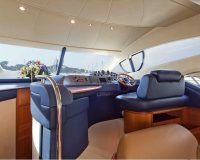 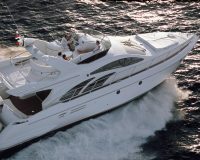 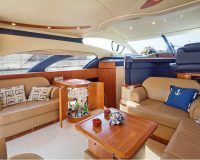 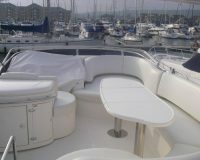 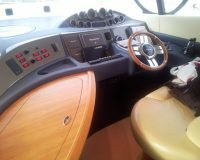 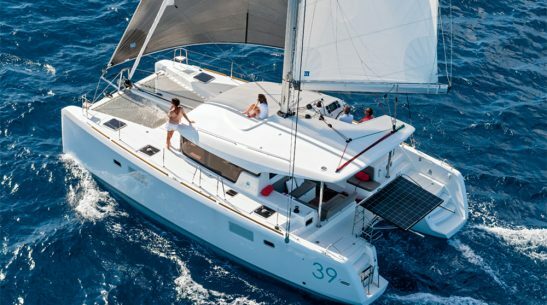 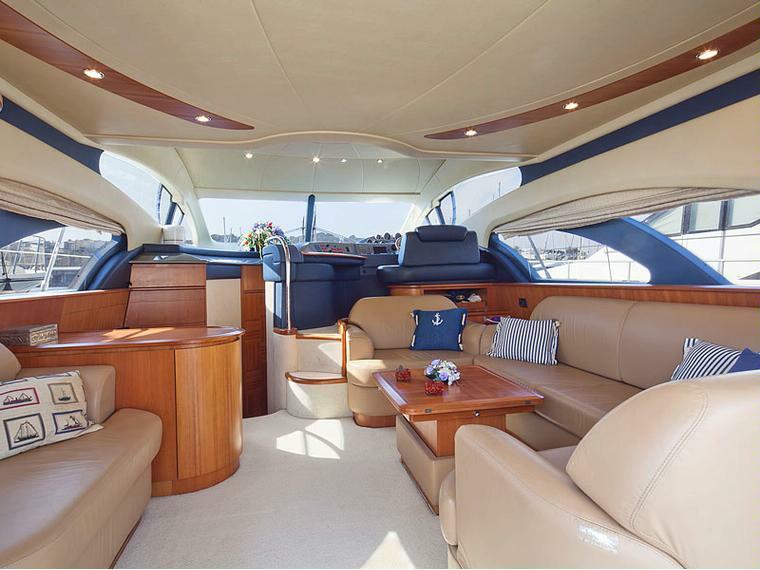 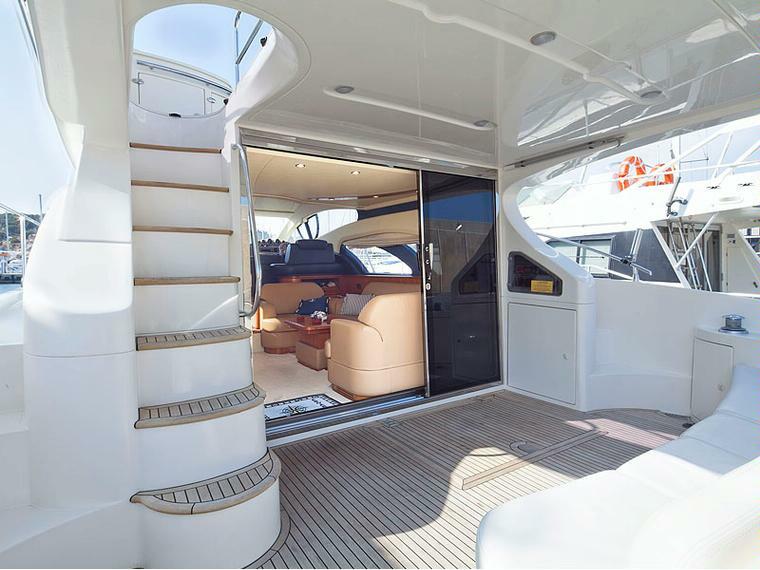 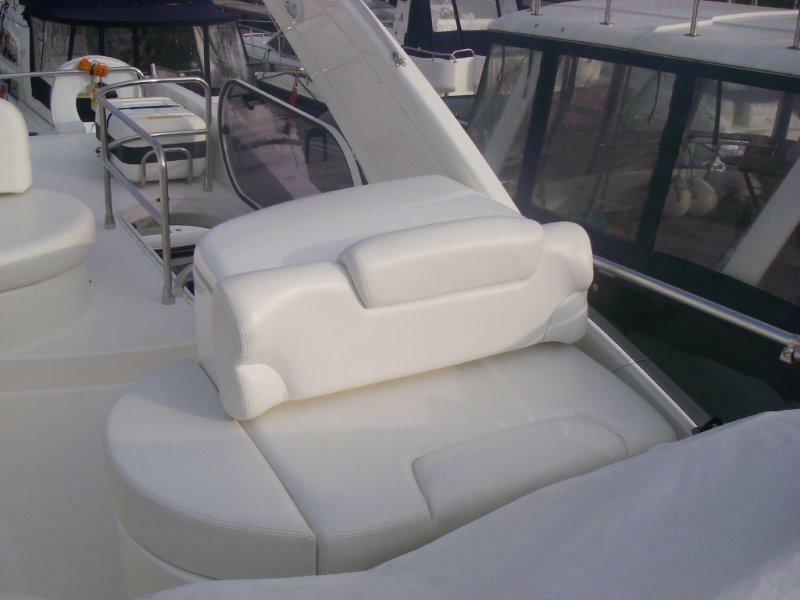 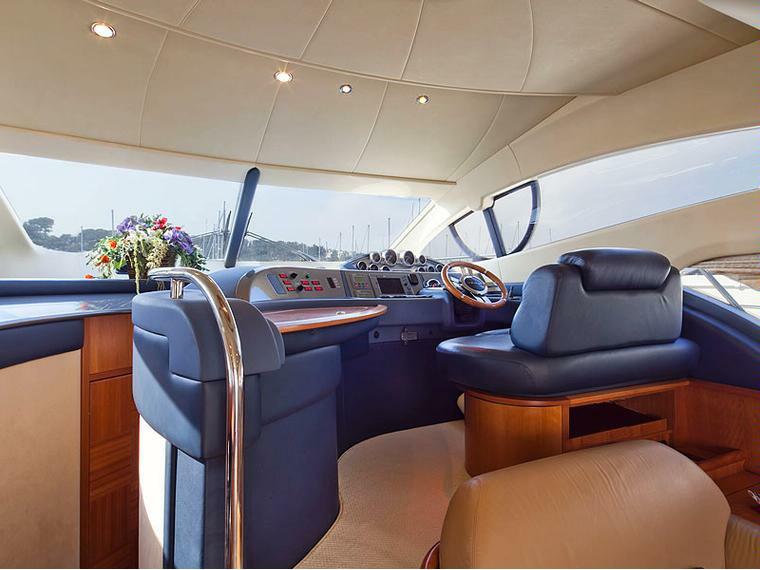 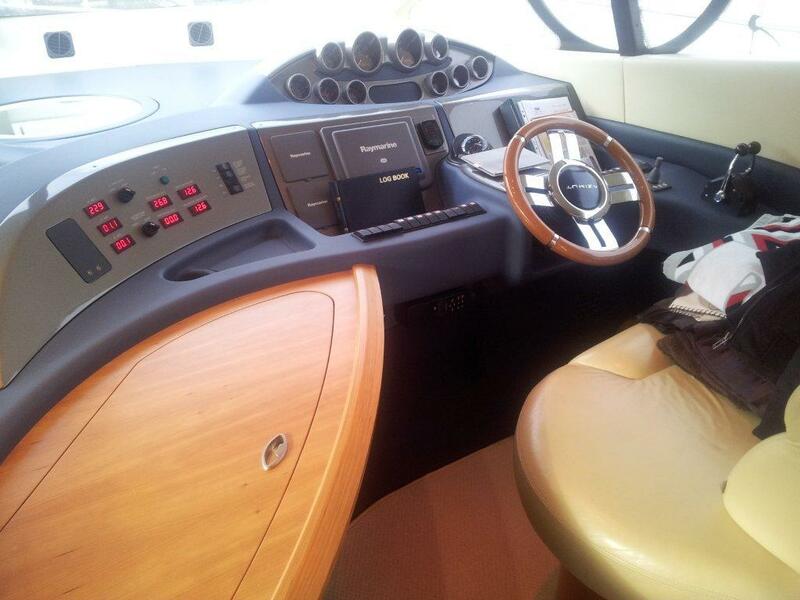 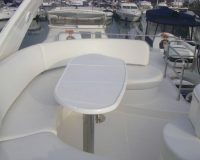 The large spacious cockpit at the rear of the boat adds more space for your guests to relax and enjoy the day.